Is it that time of the month again? Yep, we hear you! At Clover you’ll find our highly trained team are smooth operators. 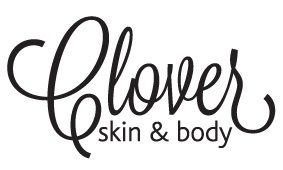 Clover therapists will perform expert, quick and as painless as possible waxing to remove unwanted hair from practically anywhere on your body. Whilst waxing might be a chore it has its rewards… smooth, silky and soft skin and some time-out for yourself to be pampered in the comfort of our plush salon. At Clover all our therapists have completed advanced training in waxing, specializing in eyebrow shaping to Brazilians. We use the most superior quality titanium waxes to ensure minimal pain and smooth results and a roll on wax cartridge method; no more messy spatulas whilst performing a leg wax! We use professional waxes for their superior quality, high standards and effectiveness, containing ingredients such as apricot and chamomile. Our waxes are formulated with no perfumes or dyes and are suitable for the most sensitive skins.